It can take a lifetime for many people to come to terms with the freedom they truly have to think for themselves. But this path to freedom is obstructed by societal myths, one of which would have us believe that once we have completed adolescence, we can't change much. In reality, we are able to change and grow throughout our lifetime - even in the subtlest ways. It is no surprise that many people resist the arduous effort involved in continually monitoring and revising their thinking... Yet if all the energy required to think seems troublesome, the lack of thinking causes for more trouble and conflict for ourselves as individuals and for the society in which we live. Given the imperfections of our society and the apparent downward spiral of spiritual and moral values in recent years, thinking has become a grave issue. It is more urgent now - perhaps more urgent than anything else - because it is the means by which we consider, decide and act upon everything in our increasingly complex world. If we don't begin to think well, it is highly likely that we may end up killing ourselves. New Updates! (4/20/2019) We've been working really hard on completing our membership system so you can submit quotes and keep track of them. Once this is complete in the coming weeks there will be a lot more quotes by M Scott Peck and other authors. 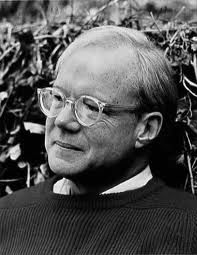 We've also changed the sorting on the site so you now see the latest M Scott Peck quotes first. Our goal is to have the best M Scott Peck quotes on the web!